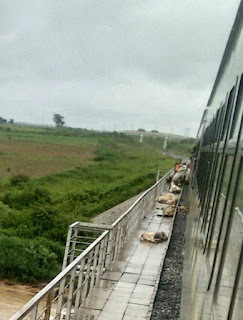 The trip of a Kaduna-Abuja train carrying about 600 passengers was halted on Sunday near Rijana in Kaduna State after it crushed over 52 cows. However, no human casualty was recorded as the speeding carriage going to Abuja from Rigasa Railway Station hit the cattle at about 11:45am. The incident occurred two days after another train plying the route broke down in Jere local government area. Both Rijana and Jere are notorious for kidnapping and armed robbery. The train with registration number KA4 stopped for about 40 minutes and the passengers panicked the entire time. 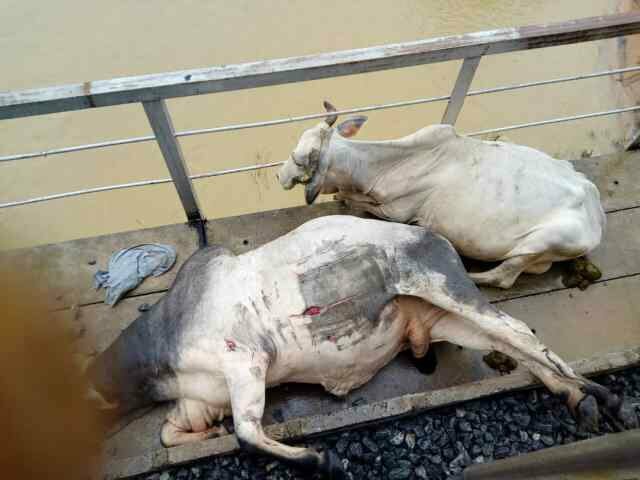 Kaduna State Police Command said the cattle were crushed along Kasarami-Jere axis in Chikkun Local Government Area. 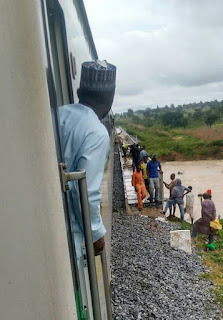 There is nothing like attack but purely it was train accident, so nobody should panic,” Commissioner of Police, Ahmad Abdulrahaman, told journalists in Kaduna. He disclosed that 27 cattle that sustained injuries were slaughtered by the chief butcher of Kasarami village. When the information of the accident reached the command, I quickly mobilised our men to the scene to assess the situation,” he said. He explained the herdsmen were moving the cattle to Funtua Local Government in Katsina State. “I have summoned the traditional rulers of the area, youths and farmers on the need to continue to live in peace and to avoid crossing the rail track indiscriminately with farm produce and animals”.